Cricket Australia has officially announced that their team will not be touring Pakistan owing to the volatile situation in the country. Australia was supposed to tour Pakistan sometime in March but with plenty of terrorist incidents happening there in a short span has made them very apprehensive about the safety. The Pakistan Cricket Board (PCB) has been put in a financial crisis with this tour getting called off. Pakistan had only a weak Zimbabwean team to host recently and it is likely that will have to settle with a series against Bangladesh. PCB’s hopes of having a One Day Series against arch-rivals India died after the BCCI rejected their offer because of an already packed schedule for their team. 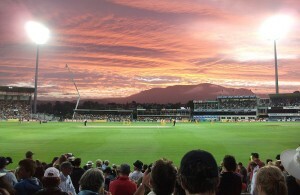 Cricket Australia has mentioned that the tour is only postponed and not cancelled. The Australian Board is looking for a possible tour in 2009 or 2010. Ironically, Australia hasn’t toured Pakistan since way back in 1998! One of their Test series had to be held in Sharjah which was supposed to be Pakistan’s home series!